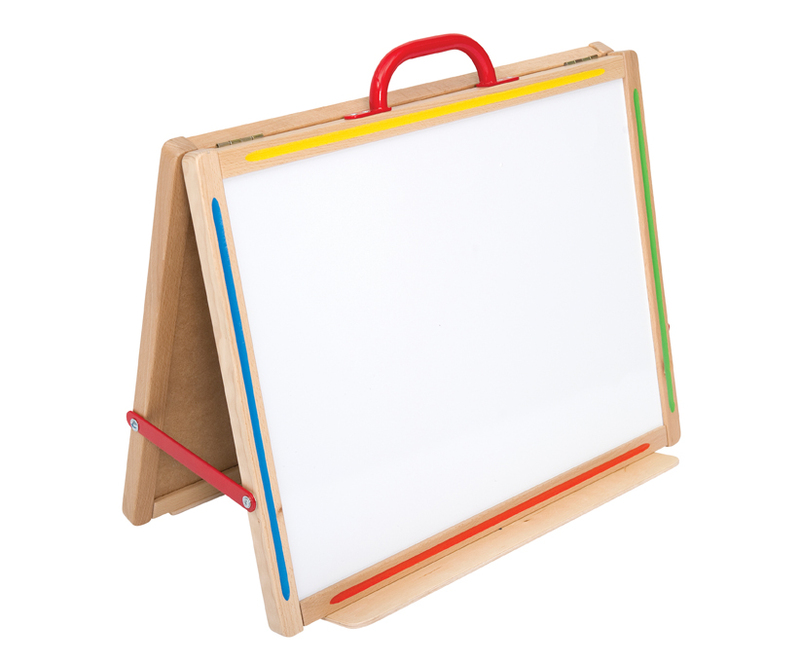 This double sided desk top writing board has a magnetic drywipe whiteboard surface on one side and chalk board on the other side. A table top easel with a solid wood frame and large pen ledge either side. It has a carry handle and stability stays, plus folds away when not in use. Little Acorns products are beautifully made, high quality and designed to last for years, with a 10 year guarantee. 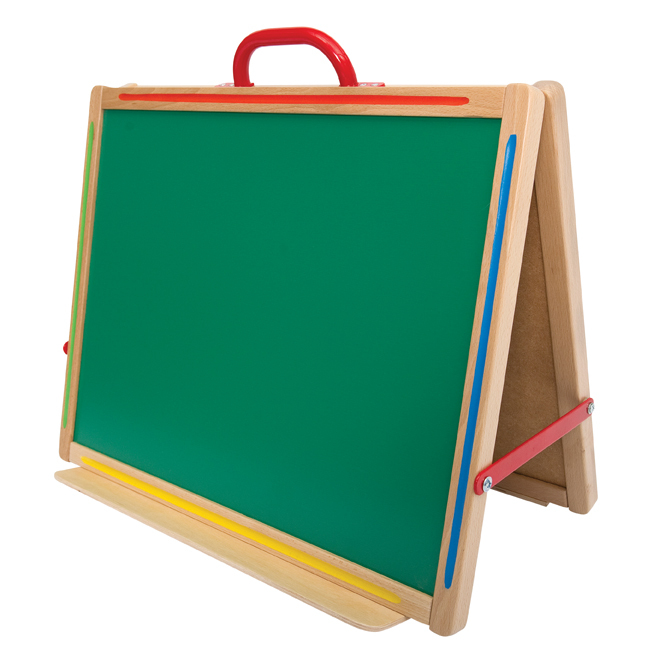 Ideal for classroom use in schools, playgroups and nurseries.